The first two years involve a thorough teaching-learning process targeted at students being provided with a strong foundation in basic medical sciences and early clinical exposure.The final two years require a series of clinical internships in various medical and surgical disciplines that serve as a great exposure to future medical practitioners. The curriculum covers all aspects of the material set by the United States Medical Licencing Examination (USMLE). You will learn how to master the exact skills and strategies required to pass the exam. First and Only Graduate Entry Medical programme in Malaysia. Be a competent medical professional by learning through a curriculum crafted following the US-style. Gain hands-on experience with patient exposure in major Malaysian hospitals including Hospital Kuala Lumpur. 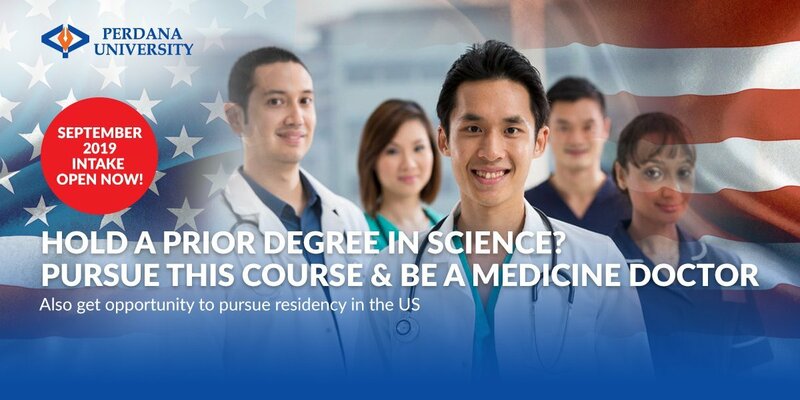 Get opportunity to begin Residency Programme in the USA. 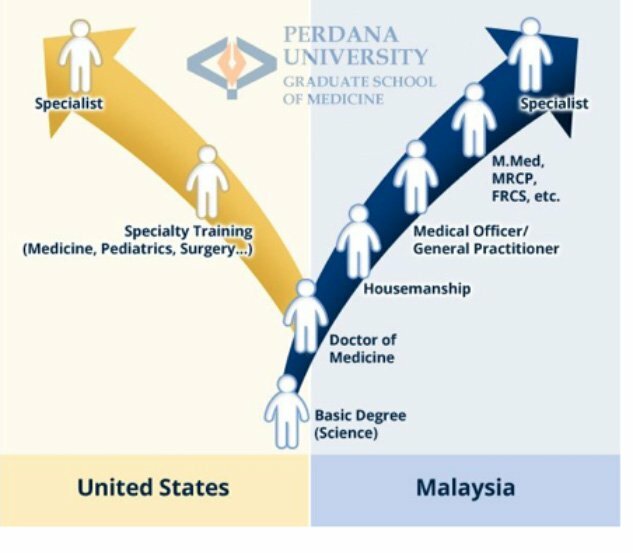 The only university in Malaysia to provide a 4-year US Style Medical Degree programme. Good news to Malaysian AND International students! You are eligible to apply for Perdana University’s scholarships. Fill in your details at the bottom of the page to learn more. Graduate Entry Programme – Doctor of Medicine (MD) up to RM96,000* Scholarship. *Applicable to both Malaysian and International students. Terms & Conditions apply. A degree in Science (including Biomedical Sciences, Biochemistry, Biotechnology, Immunology, Genetics, Immunogenetics, Engineering, Nutrition and Pharmacy) with a minimum CGPA of 3.5. Computer Literacy – Working knowledge. MUET – Band 4 and above (Malaysian candidates). English Proficiency Test (International students only) – Applicants will be assessed individually to determine their English proficiency. This is a US-style curriculum that prepares students to sit for the United States Medical Licensing Examination (USLME).